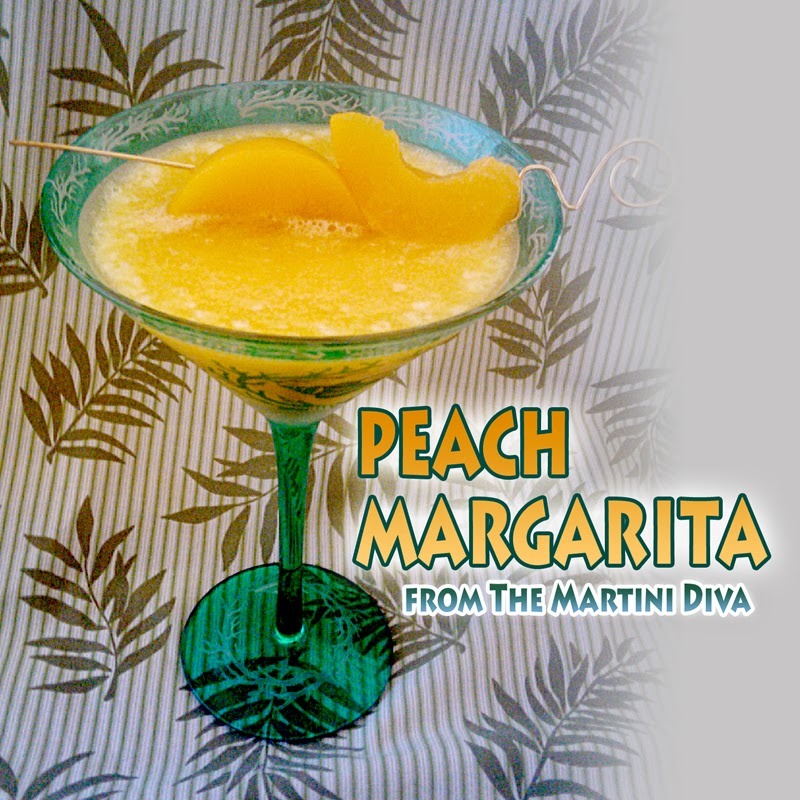 Here it is, National Peach Month, and it occurs to me I've never posted one of my favorite peach cocktails, a Peach Margarita. Since it's one of the margaritas I do most often for myself (always having either frozen or canned peaches in my larder) this must be remedied immediately! Chill your glass in the freezer. Combine all the ingredients in your blender until slushy but smooth. Pour into the glass and garnish with two peach slices. Enjoy more of my PEACH COCKTAILS HERE. Lemon Twist Chill your glass in the freezer. Add the Harmonie, sparkling fruit juice and the Blue Curacao to a cocktail shaker filled with ice and shake until well chilled. Pour into your martini glass and garnish with a simple lemon twist. 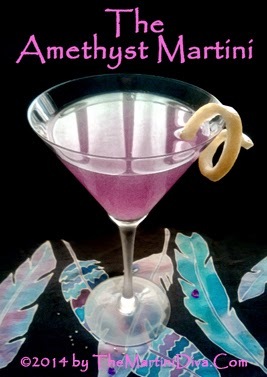 This is a perfect cocktail for anyone born in February since their birthstone is Amethyst.